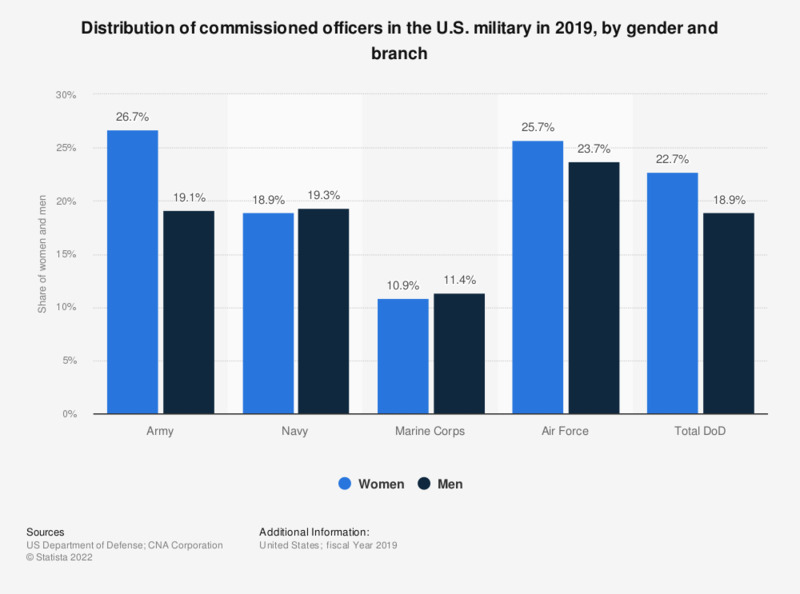 This statistic shows the share of commissioned officers in the U.S. Military in 2017, by gender and branch. In 2017, around 19.3 percent of women in the U.S. Navy were commissioned officers. This is slightly lower than the percentage of men who were commissioned officers (20.1 percent). Figures have been calculated internally by Statista using figures from tables B-20 and B-28 in the source.